In the circumstances, while several players above could still call back into the danger zone with a bad run over the coming months, for the purposes of this article I am going to look at this those currently 59th and below in the latest provisional end of season list. Summary: Thailand’s Thepchaiya Un-Nooh has always been an entertaining player to watch and so far on his latest spell on the main tour, he has backed that up with results that have been strong enough to see him rise up into the world’s top 64. 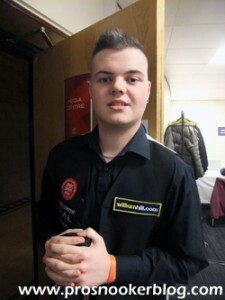 Although he is not yet certain to remain there, he does have a useful £5,000 cushion at this time and importantly is continuing to win matches this season, across all types of events, meaning that at the time of writing he is set to retain his tour place via all three qualifying routes, much like Scott Donaldson last season. Clearly his preferred option would be to retain his place as a top 64 player, in order to carry through his prize money into next season, however as Donaldson found last year, it is important to have a fall-back, should results not go his way as this campaign progresses. 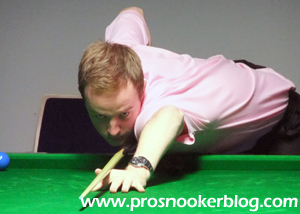 Summary: Few will have expected the name Jamie Cope name to be mentioned in this article, but his well-documented battle with the ‘yips’ or whatever the snooker term for his issues is, has seen his ranking drop to such an extent that he needs results this season if he is to be sure of retaining his tour place for 2015/16. 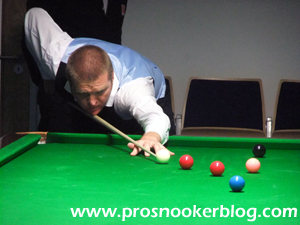 That said, the good news for Jamie is that his recent form has been improved, dating back to his last 32 run at the World Championship back in April and with three wins under his belt from the first two European Tour events of the season, he is also currently in position to retain his tour place via that list, should he drop outside of the top 64. 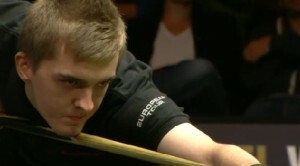 Summary: Currently into his fifth consecutive season on the main tour, Alfie has struggled for results so far in 2014 and as a result finds himself little more than £3,000 above the top 64 cut-off on the latest provisional end of season rankings, with all those earned during 2012/13 already deducted. Defeats to Martin O’Donnell and Matt Selt in the first two events of this season’s European Tour mean that he will need return to winning ways sooner rather than later if he is to be sure of making it six consecutive seasons on the tour. 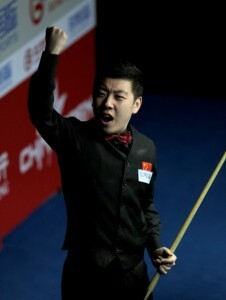 Summary: Although he currently remains outside of the top 64 on the official ranking list, as a second season professional with no points to defend from the 2012/13 season, Li Hang is currently projected to finish the season up inside the important top half and retain his place on tour via that way. Of course, there is a long way to go, but having also won one match on the European Tour and reached the quarter-finals of the first Asian Tour event of the season, Li has options available if he is to hang (sorry) onto his tour place for another season. Summary: Like Li Hang above, Stuart is a player currently on the second year of his current two-year tour card at the time of writing is well in contention to retain his tour place by finishing inside the top 64 on the main two-year ranking list. He has not yet won a match on either the European or Asian Tours so far however and will therefore be hoping to add some points to his tally on at least one of those lists to give himself a further fall-back option is he is unable to crack the top 64. 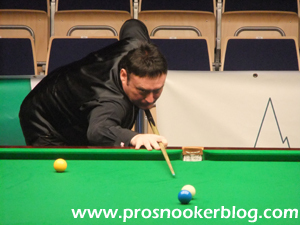 Summary: As he has been for the past couple of seasons, Jimmy White is currently in the midst of a battle to retain his professional status with the need for a World Snooker invite. 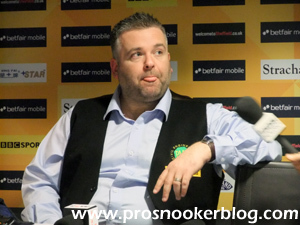 With just £117 separating him and 65th placed Luca Brecel, while he is also tied with Allan Taylor for what would be the last qualifying spot from the European Order of Merit, it promises to be another nervous season for the Whirlwind in which every victory could prove crucial. Summary: Having finished last season just inside the top 64, Luca Brecel will need to continue to gain results if he is to remain there for a second season. 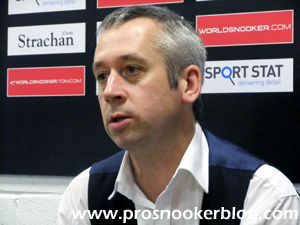 Importantly however, the youngest ever Crucible qualifier is also currently poised to retain his tour card through the European Order of Merit following his three victories in the first two events to date, if he were to drop out of the top 64..
Summary: An ever-present on the main tour since 1989, Nigel Bond has found it increasingly difficult to reach the latter stages of events in recent years and will need to find results if he is to extend his unbroken spell on the tour into another season. That said, just £391 from the top 64 and having also won matches in the European Tour so far this season, Nigel is still well in touching distance and retains reasonable prospects of extending his spell on the professional circuit. Summary: Another surprising name on this list, Marcus Campbell has dropped from a career-high ranking of 20th just two years ago, to now needing to make up a gap of over £2,000 if he is to remain inside the top 64 for another season. The reasons for Campbell’s struggles during the past 18 months are unclear, but he has clearly not become a bad player overnight and his supporters will be hoping that he can reproduce some of the form that took him to the semi-finals of the 2012 Wuxi Classic between now and the end of the season. Summary: While some of the players above have slipped down the rankings in recent years, Thailand’s Noppon Saengkham has very quietly moved up the list and having seen him in action a few times in recent months, is clearly improving as a player. He will need to continue winning matches if he is to climb up inside the top 64, but with victories at both the early European and Asian Tour events this season, either of those routes could also see him otherwise retain his place for another year. 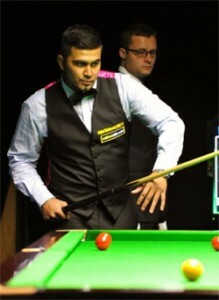 Summary: Despite having played in far fewer events than most of the other players in this battle, with strong results in the big events that he has entered such as this year’s World Championship, Robin remains within striking distance of earning a top 64 place, if he continues to enter and perform well in this season’s biggest events. Having not entered either of the season’s first two European events however, it would appear that Robin will not have a fall-back plan if he is unable to earn enough money to otherwise remain inside the top 64. Summary: Having regained his tour place at the start of last season, with back to back qualification successes for full-ranking events in China, former World Championship semi-finalist Joe Swail has been narrowing the gap to the top 64 in recent weeks and with two victories at the ET1 event in Latvia, could also earn another two-year tour card through that route if he is able to enjoy a successful run in one of the four remaining European Tour events. Work to do yet for the popular Northern Irishman, but wouldn’t it be just him to be able to do it? 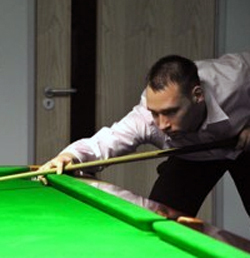 Summary: As with fellow tour veteran Nigel Bond above, Dave Harold has found it increasingly difficult to retain his position in the rankings in recent seasons and indeed has opted to miss a number of events during the past 18 months or so. 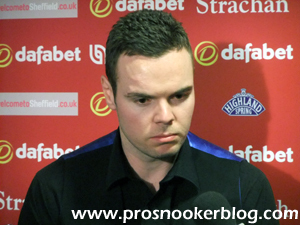 A terrific player at his best, with a gap of over £10,000 to make up to the top 64 at the time of writing, it is looking increasingly likely that the Stoke potter will find himself off the tour at the end of this season. Summary: One of the most promising players in the lower half of the rankings, Chris Wakelin will find it hard to break into the world’s top 64 during the course of this season, but having already won five matches during the season’s first two European Tour events, he already looks to be extremely well-placed to retain his tour card through the European Order of Merit. That said, we learned last season that this is a list that can see a lot of changes and he will want to win a few more matches yet to make absolutely certain that he will finish inside the all-important top eight qualifying places. Summary: The tour’s second youngest player, Lyu Hoatian has shown flashes of his potential over the past couple of seasons but has found it understandably difficult to compete with the tour’s more experienced players on a consistent basis. With over £16,000 separating him and the top 64, his best chance of earning a fresh tour card would appear to be from the Asian Order of Merit, with two Asian Tour events still to come this season. 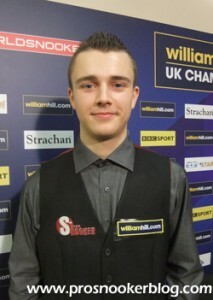 Summary: Despite defeats to Ian Glover and Joel Walker during the first two European Tour events of the season, Alex Davies’ best chance of retaining his professional tour card for another two seasons would appear to come from the European Order of Merit, with results needed during the four remaining events this season in order to lift himself up into the top eight qualifying places. 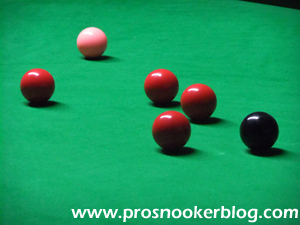 Summary: As with Alex Davies above, John Astley requires either a deep run at one or more of the season’s coming ranking events, or as is perhaps more likely, a couple of strong runs during the season’s remaining European or Asian Tour events if he is to remain on tour. Summary: While Scotland’s Fraser Patrick will find it difficult to break into the top 64 this season, thanks to his last 16 run at the Paul Hunter Classic last month, Fraser has at least given himself a real chance of earning a fresh tour card via the European Order of Merit, if he can add a few more victories to that early run. Having also won a couple of matches at the AT1 event, Fraser would be well advised to enter the remaining two Asian Tour events this season and give himself a further potential lifeline. Summary: As with some of the names above, Alex Borg looks to be in need of victories during the season’s four remaining European Tour events, having one win under his belt so far from two events. 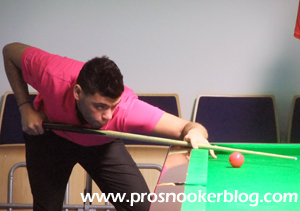 Summary: A player that we have only seen in action at the World Championship in recent times, Brazil’s Igor Figueiredo looks set to drop back off the tour at the end of the season, his lack of further appearances understood to be due to financial reasons. Summary: As with a number of players in this list, Ross is unlikely to make a breakthrough into the top 64 this season, but having won two matches at the AT1 event earlier in the season, is currently in contention to earn a fresh tour card via the Asian Order of Merit. 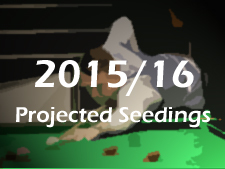 Summary: Another player in need of a run or two at either a European or Asian Tour event. Summary: See Ross Muir above. 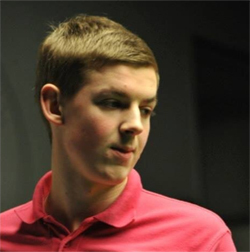 Summary: With victories so far at both European and Asian Tour events, James Cahill is another player who despite not being within striking distance of the top 64 on the main two-year ranking list, is currently in place to retain his professional status through the European Tour. 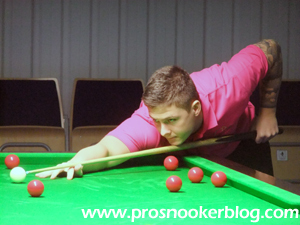 An ever-improving player, it will be interesting to see whether James can replicate the achievements of Joel Walker last season, who following a tough début season, performed brilliantly in subsequent European Tour events to earn a fresh two-year card. Summary: With opening round victories in both ET1 and ET2, Allan Taylor will be hoping for further victories during the season’s remaining four European (or Asian) Tour events in order to retain his tour place for a further season. 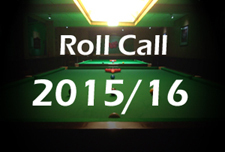 Summary: See James Cahill, Allan Taylor above. Summary: Again, Alex looks to be reliant upon results during the season’s four remaining European Tour events if he is to retain his tour card.